RAMALLAH, West Bank — The residents of Umm al-Hiran in the Negev are on standby, awaiting Israeli bulldozers to arrive someday and destroy their homes as a prelude to establishing a Jewish community on the ruins. Around 70 Bedouin families, some 1,000 people, face forced evictions after a May 5 ruling by the Israeli Supreme Court upholding a 2002 government decision to destroy their village and build a Jewish town called Hiran. Lawyers from Adalah: The Legal Center for Arab Minority Rights in Israel had argued before the court that the residents of Umm al-Hiran and their ancestors have been living in the village since 1956 on the orders of the Israeli military governor after they were displaced from their original home, Khirbet Zbala. They did not seize the land on which they live. Moreover, their displacement and the demolition of their homes would be unfair and unjust treatment, because they had been established decades prior at the will of the state but would now be demolished based on claims that they had not been permitted. The Supreme Court ruled, however, that the state rightfully owns the land of Umm al-Hiran, noting that the village residents had not purchased it but rather resided there after the state allowed them to. The state, the court said, is now legally canceling its decision to permit them to reside at Umm al-Hiran. 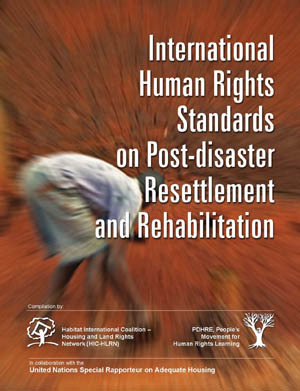 In short, the residents have no legal rights to the land, and it is the state`s right to establish Hiran on that land. The targeting of Umm al-Hiran is part of a series of projects in the Negev in line with the 2011 Prawer Plan, conceived by former Minister of Planning Ehud Prawer and legislated in 2103 as the Law for Regularizing Bedouin Habitation in the Negev. It proposes that the populations of 22 unrecognized Bedouin villages be relocated to residential complexes to be built for them. Unrecognized villages are those not acknowledged as official settlements by the Israeli government. They are therefore denied municipal services and infrastructure, including electricity, phone lines, a sewer system, roads and health clinics. Schools are also scarce. The issue of the unrecognized villages emerged in 1948 after Israel declared itself a state and began organizing landownership. It consolidated and confiscated land by issuing such legislation as the 1951 State Property Law, outlining state-owned land and allowing Israel to take control of Palestinian-owned properties, and the 1953 Land Acquisition Law, legally allowing the state to take control of lands confiscated from absentee owners. The state attempted to consolidate Bedouin populations in the Negev into government-planned areas, including in Beersheba, Ar’ara and Rahat. Those Bedouin communities choosing not to relocate, instead remaining where they had been before Israel`s creation, and those communities displaced by Israeli actions, are unrecognized. Adala has represented Umm al-Hiran in Israeli courts for 13 years during various trials over attempts to destroy the village and expel its residents. On May 15, it launched a media and popular campaign under the banner “Umm al-Hiran will not fall” to raise awareness of the issue and to mobilize public support. Majed Kayyal, Adalah’s official spokesperson, told Al-Monitor that Palestinians constitute 30% of Negev residents, the rest being Jewish. The Palestinians currently live on 3% of Negev territory, and the Israeli plan aims to resettle them on less than 1% of this area. According to Asam, from the Regional Council, more than 220,000 people reside in Negev. Abu Rass also observed that Israel has been applying the same concept in Area C of the West Bank, land under its civil and military control, constituting 60% of that territory. Israel has been demolishing Palestinian houses and camps in Area C on the grounds that they were built without permits. It also displaces Palestinians by claiming that they are conducting military training, which puts pressure on them to leave their land. On March 24, Amnesty International issued a report, “Israel: flawed consultations place Bedouins at risk of forced eviction,” evaluating the current situation in the Negev. It states, “Consultations held on plans to evict some 30,000 Palestinian Bedouin citizens of Israel in the Negev/Naqab region have been deeply flawed and consequently not met international standards … If this is not rectified, any relocation that follows will amount to a forced eviction.” The organization claims that the government has failed to provide accurate, complete and timely information to the people who would be affected by the evacuation process, including details of their planned relocation. These people have therefore not been able to take part in the consultations or decision-making. 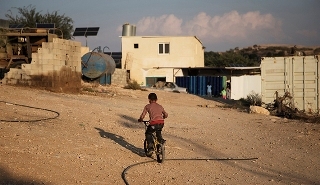 The group called on Israel to “give formal recognition to all the excluded villages (so-called `unrecognized villages`), halt demolitions in them and provide adequate levels of essential services to them.” In the meantime, Palestinians of the Negev are preparing to confront whatever challenges come their way should they decide to stay on their land.